Be Our Next Cover Girl! The November 2017 issue HERE! → INSPIRATION for days when being a stepmom feels too hard! When I decided to marry a man with a daughter and an ex-wife, I knew that the holidays would be a challenge. Besides the normal pull to divide time between the in-laws, we would have the complication of custody—splitting whole weeks or groups of days between two parents. IT’S CHRISTMAS MORNING. You wake up all excited but soon realize that this year is different. This Christmas will not be spent opening presents with your stepkids or even your own kids. 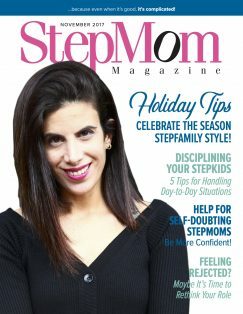 The April 2016 issue of StepMom Magazine is HERE! 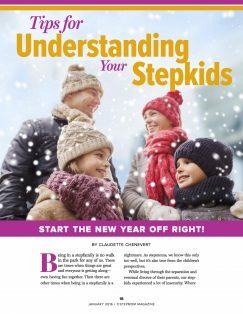 The March 2016 issue of StepMom Magazine is HERE! Being a stepmom is a job no one gets right in the beginning. No one. That’s why we explore and offer solutions to some of the most common challenges faced by all stepmoms in this month’s issue. 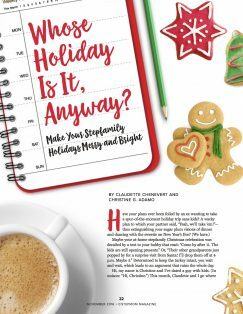 From learning how to prioritize your relationship to stepfamily estate planning to finding ways to improve your relationship with your stepchild, you’ll find it inside this month’s edition. AND we talk with Meghan King Edmonds: stepmom and Real Housewives of OC star. She dishes about her life in front of the cameras, her homerun-hitting husband and what she’s learned (the hard way!) about being a stepmom. Being in a stepfamily is no walk in the park for any of us. There are times when things are great and everyone is getting along— even having fun together. 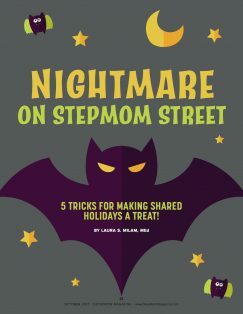 Then there are other times when being in a stepfamily is a nightmare. As stepmoms, we know this only too well, but it’s also true from the children’s perspectives. Holidays and family go together. Except when they don’t. 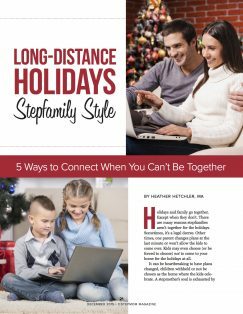 There are many reasons stepfamilies aren’t together for the holidays. Sometimes, it’s a legal decree. Other times, one parent changes plans at the last minute or won’t allow the kids to come over. Kids may even choose (or be forced to choose) not to come to your home for the holidays at all. The September 2015 issue of StepMom Magazine is here! Becoming a stepmom is like taking a crash course in subjects women never dream of studying: “How to Deal With an Angry Ex” and “Child Support 101” aren’t offered, as requirements or electives, in high school or university course catalogues. And yet? Millions of women find themselves tested every single day. It’s like a taking a pop quiz you never studied for. Your patience is tested. Your ability to withstand character attacks is tested. Your stamina, your self-confidence, your relationship with your partner … they’re all repeatedly tested, too. © 2008-2019 StepMom Enterprises. 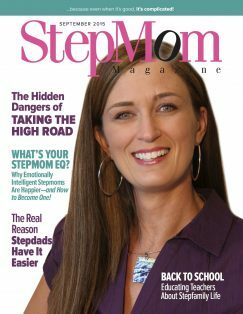 StepMom Magazine is a division of StepMom Enterprises. All rights reserved. The material on this site may not be reproduced, distributed, transmitted, cached or otherwise used, except with prior written permission. 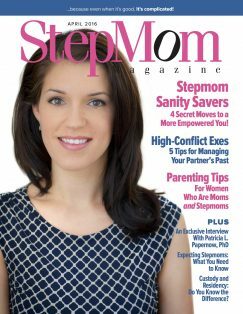 The information and content at StepMom Magazine’s website, its monthly edition(s) and its online forum are not meant to take the place of advice or counsel obtained from a trained mental health professional, family counseling service or attorney. Please contact a trained professional to obtain specific advice with respect to your par ticular issue, problem or situation. 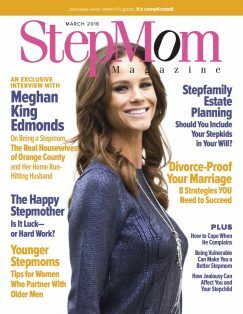 By accessing the information and content provided by StepMom Magazine, you acknowledge that neither StepMom Mag azine nor its contributing writers, staff, affiliates or forum members accept liability for any act or omission based upon any information or advice contained herein. 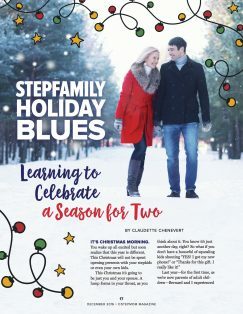 The opinions expressed on or through this site are the opinions of the individual authors and may not reflect the opinions of the publisher, personnel or affiliates of StepMom Magazine.